British investment firm TDR Capital has made a surprise offer to acquire Norway’s iconic coastal shipping line known as Hurtigruten, with Norwegian businessmen Trygve Hegnar and Petter Stordalen as hangers-on. Hegnar is currently Hurtigruten’s largest shareholder, controlling a third of its stock, and is also chairman of the board. If the proposed deal goes through, Hegnar’s share of Hurtigruten would be reduced to five percent. Petter Stordalen would also hold five percent, leaving 90 percent of Hurtigruten for the British investors to enjoy. The offer, presented on Wednesday, is made through Silk Bidco AS, which reportedly is a joint venture formed by London-based TDR Capital LLP and the two wealthy Norwegians. At this point, the offer is nothing more than just that, Hegnar noted, and no transaction has been made. But owners representing more than half of Hurtigruten’s stock have reportedly accepted the offer pf NOK 7 per share already. Hegnar, a prominent investor and media owner, will stay on as board chairman, while Stordalen, who also has a seat on the board, will keep it. As owner of the Choice chain of hotels, Stordalen is a big player in Norway’s travel industry, and appears keen to take Hurtigruten further into the promising waters of adventure travel. “It’s an icon with a unique history and a strong position in the market. We’re excited by this opportunity to speed up its growth,” Stordalen said in a press release. Not everyone cheered at the prospect of Hurtigruten being controlled from the City of London. 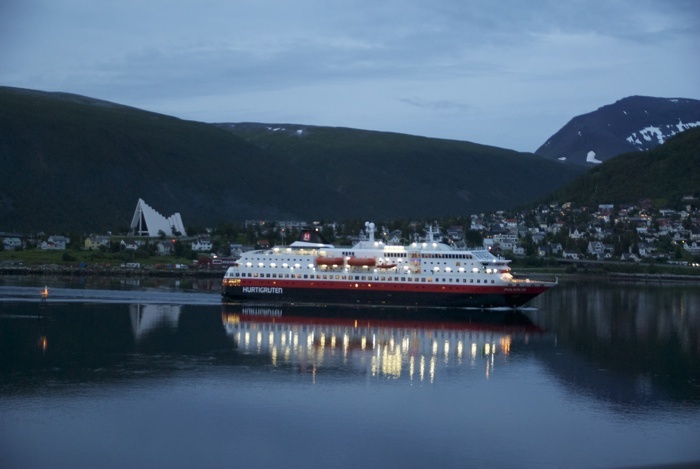 Since the days of its first coastal steamers, Hurtigruten has been a key part of Norway’s infrastructure, connecting remote settlements to the rest of the world. “Hurtigruten has existed for 111 years, always strongly supported by the government. It’s a national symbol of Norways dependence on its coast,” said Torgeir Knag Fylkesnes, a parliament member representing the Socialist Left Party (SV). He said angrily that if the government allows Hurtigruten to slip from Norwegian control, it would let the country’s coastal population down. “This is not just any company that can be sold to speculators,” Fylkesnes said.